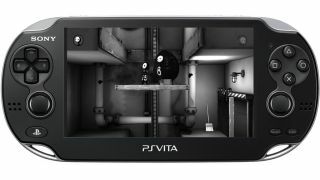 The previous generation Sony PlayStation Portable handheld console is still shipping over double the amount of units as its successor, the PS Vita. In the last three months, Sony sold 1.4 million handhelds around the world, but 1 million of those were PSPs, with the Vita's share comprising the remaining 400,000 units. PlayStation Europe CEO Jim Ryan told CVG: "We still have a significant PSP business in many markets, which is something that tends to be forgotten." However, while having a PSP legacy is no doubt a bonus, Sony would have surely hoped that those figures would be the other way round, at this stage of the PS Vita's lifespan. The all-singing-all-dancing PS Vita, launched in Asia in December last year and February 2012 in Europe and North America and has now racked up 2.2 million total sales worldwide. German site Playfront (translated) quotes Sony PlayStation Germany boss Uwe Bassendowski as saying the company will now look to market the console to younger gamers and that it made a "mistake" in not doing so initially. Sony hopes that a packed line-up of games this Christmas will also lead to some improved numbers come the new year. Perhaps a 3DS-like price-cut would help also?